In 1964, Oliver began to upgrade their previous models to the 50 Series. The 1600 became the 1650. The 1800 became the 1850, and the 1900 became the 1950. In 1965, two more models were added to the 50 series. The 1250 was a Fiat model used to replace the former David Brown tractors. This Italian built model was just the first of many to be sold by Oliver. 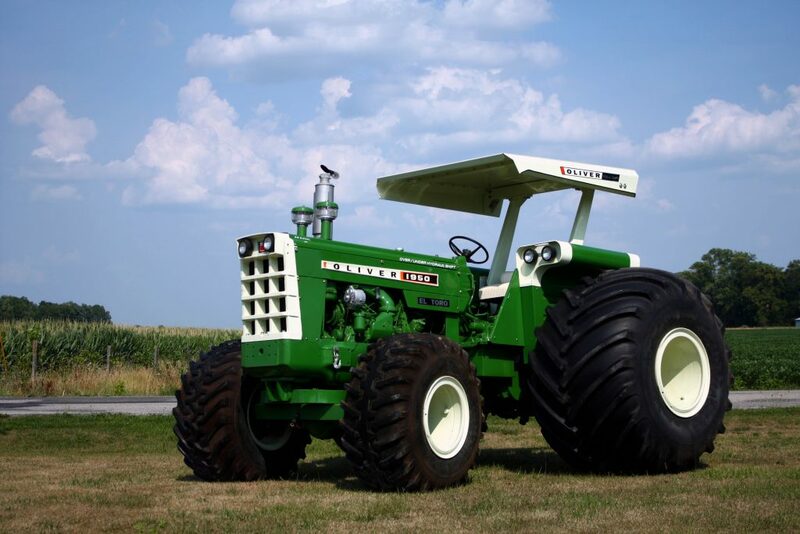 The 1550 was a 46 horsepower tractor designed just like the rest of the series. It was available as a Row Crop, Utility, or Wheatland model with a gas or diesel engine. The 1750 was introduced in 1966 to fit between the 1650 and 1850 models. It was available as a Wheatland, Ricefield, or Row Crop model. The gas engine was a 283 CID Waukesha engine, but the diesel model used a 310 CID Waukesha engine. In 1967, Oliver introduced their new Fiat model, the 1450. This followed the same styling as the 1250 but used a 4-cylinder diesel engine. That same year, Oliver introduced the 1950-T. Rated as a 7-8 plow tractor, this was Oliver’s first turbocharged model, and it replaced the 1950 with the GM engine. It was the first model to use the new Over/Under Hydraul-Shift. The 2050 and 2150 were new models for 1968. These used a Hercules 6-cylinder diesel engine. The 2150 was a turbocharged model and used a larger clutch than the 2050. They were both available as the Row Crop, Wheatland, and Ricefield models.